Perry Electric is an Italian company based in Veniano, in the province of Como, with branches in main European countries; it operated in the electrical and electronics industry for over 45 years, designing and producing equipment and systems to control energy, temperature, time and security in accordance with European Directives. 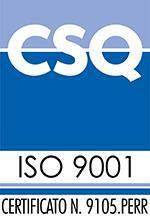 The company satisfies the requirements of UNI EN ISO 9001:2008 standard and the company’s commitment is to develop quality products that meet the needs of the changing market. are the heritage of the Company, which pays attention to the needs of every geographical area. In 2014, Perry Electric inaugurated Perry Emergency, a new division that is fruit of important investments in research and development, which is motivated by the passion and desire to expand the range of products offered to our customers.